Wedo, a gentleman at your service. 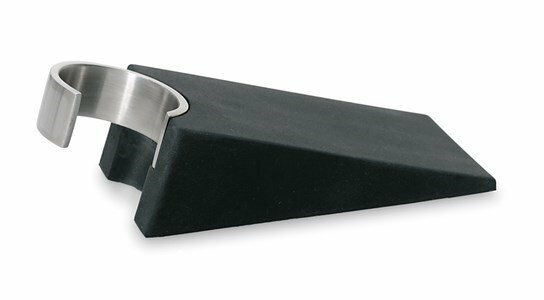 Wedo is an elegant and discrete door stop. Whwn not at use, Wedo withdraws! It is easy to use and, thanks to its anti-scratch base protection, it does not damage the floor. Push Wedo firmly and the door will stay open. The door must be shut? no problem! Wedo can be hanged on the door knob by its stainless steel hook that lays at the end. Since its made out of rubber it does not damage the doors. Did you ever think a door stop could be utterly necessary? Wedo is a door stop designed by stotz-design.com for Blomus.